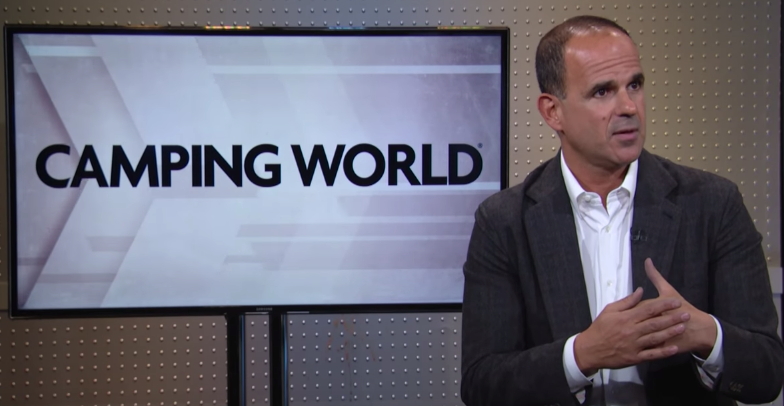 One of the most fascinating entrepreneurs and CEO’s in the world is Marcus Lemonis, star of CNBC’s The Profit and CEO of Camping World, Good Sam Enterprises, and Gander Outdoors. He recently sat down with Jim Cramer of Mad Money to discuss his strategy for growing Camping World Holdings, Inc. (CWH) by focusing on high margin subscription-based products targeted to the Millennial customer with plenty of disposable income. At the end of the day, we are an RV company first and foremost and our number-one asset is our customers that sit in our Good Sam file. That’s the most important part of our business. In order to grow that file and to grow the annuity part of our business, which is good Sam, we have to really grow our platform. We’re able to make dealership acquisitions anywhere between one and four times EBITDA. That’s trailing EBITDA, not adjusted like public companies like to do, but the real number. We provide a good exit strategy for a lot of dealers. As I looked at where this company needed to go, doubling the size of the dealership footprint was really the only option and Gander Outdoors was really the spark that really takes us there. The Good Sam file and the Good Sam Club are an important part of our business with over a hundred million dollars of our EBITDA coming from the Good Sam business itself. Essentially, it’s people that want to save money on campgrounds, camping, all hunting, fishing, camping equipment, but they also want to buy roadside assistance which is similar to Triple A, but for RVers. They want to get a warranty, and they want to have a credit card and enjoy all the benefits. We sell all of those affinity products. So as people walk in the front door those are fresh sets of eyes and fresh sets of people to be able to sell the products and services to. What we’re ultimately trying to do is find the Millennial, the Millennial who doesn’t want to go in their father’s Oldsmobile or their father’s motorhome. They want to go in a smaller unit, a lighter unit, and they want to pull it with their Prius, and we’ve made a concerted effort through Gander to enter that market.